Jessi Calzado-Esponda just launched her travel agency and she's already catering to celebrity clients like the Kardashians. Calzado-Esponda and her fiance opened Cuba Inspires in May, in response to the U.S. restoring diplomatic relations with Cuba. While the country isn't completely open to tourism, access to Cuba is worlds better than it was several years ago. A Cuban-American, Calzado-Esponda wants to immerse her clients in Cuba's music, culture, food and communities. "To me, Cuba Inpires is a social enterprise," Calzado-Esponda, 27, said. "I want to take students, nonprofits, athletes, celebrities, choir groups and host them in Cuba. I want their trip to be a cultural experience." To that end, she already landed her first major client -- Candis Cayne -- a transgender actress and activist who appears with Caitlyn Jenner on the reality show "I am Cait." 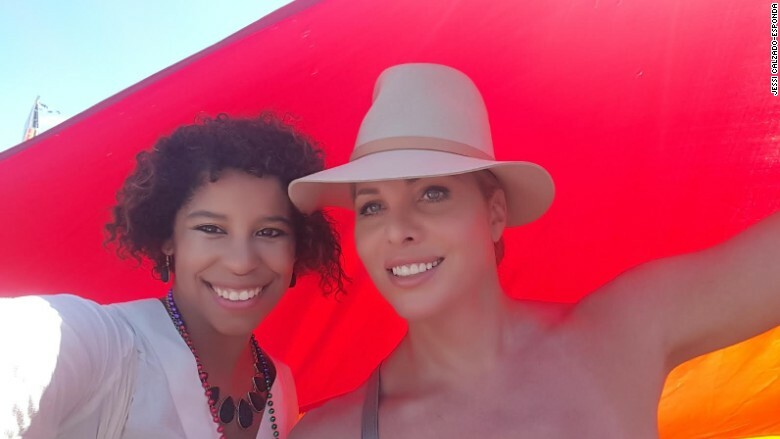 Jessi Calzado-Esponda with Candis Cayne in Cuba. 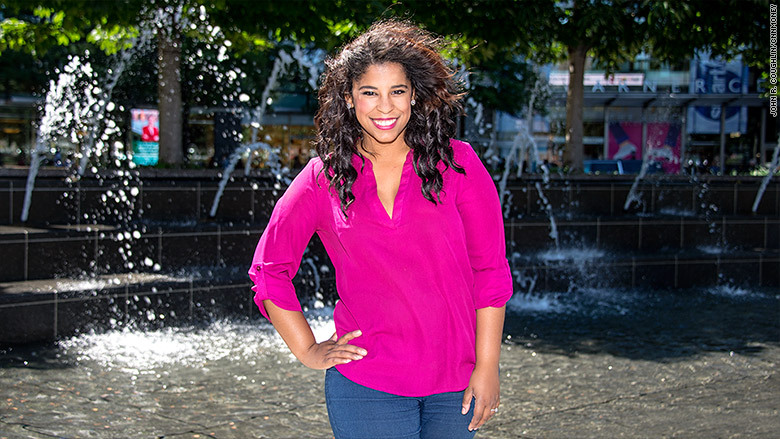 "We took Candis there as an ambassador for the LGBT community," said Calzado-Esponda. "It was historic because Candis was the first U.S. citizen to participate in an activist panel in Cuba." 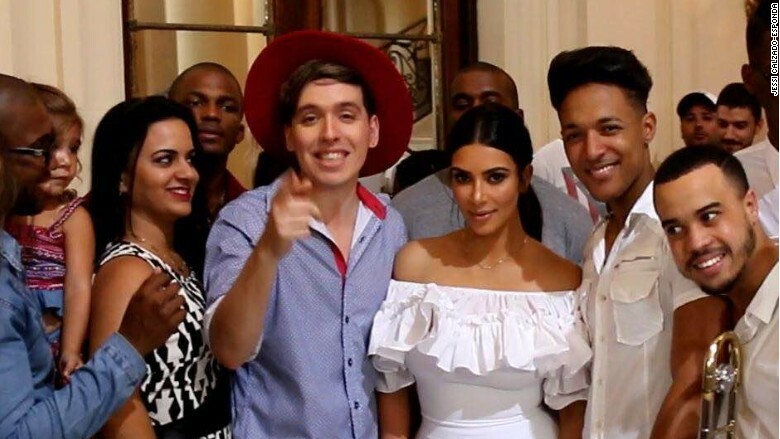 The Kardashian clan, including Kim and Kanye, were in Cuba last month. Calzado-Esponda said her agency was asked to set up "a cool cultural experience" during their trip by one of the producers of "I am Cait." Kim Kardashian in Cuba last month. She organized an evening of live music and dance lessons for the group. "I wasn't there myself but I heard they had a great time," she said. Calzado-Esponda is especially keen to take an American choir group to Cuba. Music and dance anchored her during a turbulent childhood. She was born in Havana, Cuba. When she was 7, she was accidentally separated from her family and placed in a makeshift raft headed for America. "It was my aunt who was leaving. I went with my grandmother in the middle of the night to say goodbye to her," she said. "There was a lot of commotion and confusion. The next thing I knew, my grandmother and I were also put into the raft." 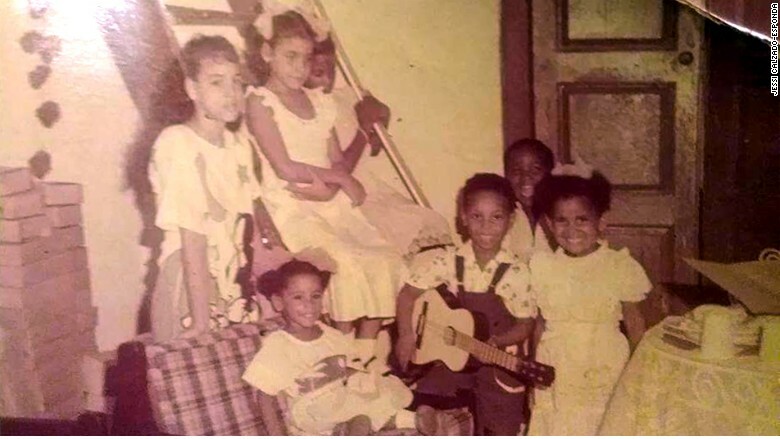 Jessi Calzado-Esponda [middle] as a child with her family in Cuba. The group of refugees was rescued at sea by the U.S. Coast Guard. She spent six months at the U.S. naval base in Guantanamo Bay before being relocated to Tampa with her grandmother. "We lived in women's shelters for a long time," she said. It was at one of the shelters that a teacher noticed her love of music and gave her a guitar. That ultimately helped her earn a high school scholarship. 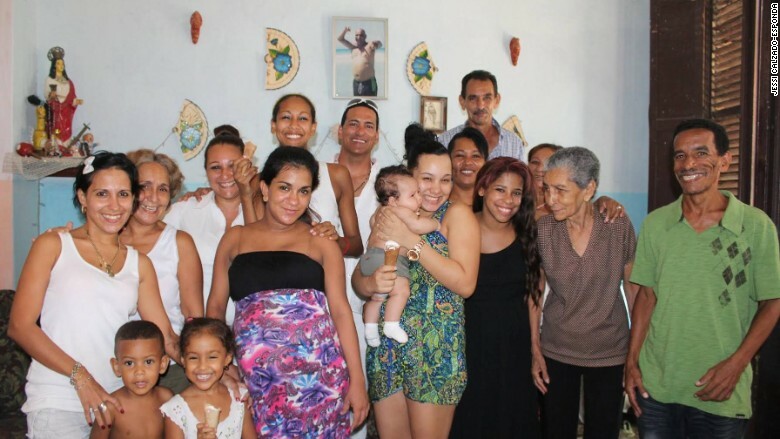 Jessi with her family in Cuba. She moved to Washington D.C. after graduating from high school and in 2009 landed an internship with Florida Representative Kathy Castor. "I basically kept calling her office and harassed them until I got an interview," she said. It gave her a better understanding of Cuba-related issues, and she eventually landed a job working for Congress. She left the job to fully focus on her startup. While so much had happened to her in the intervening years, Calzado-Esponda never reconnected with her family in Cuba. "I accepted my new reality in America," she said. "Both my parents were in Cuba. So I was afraid of being sent back." She become a U.S. citizen in 2008, and in 2012, she finally went to Cuba, arriving the day after her mother's funeral. "I met my family again for the first time at her funeral," she said. Despite the adversity she's experienced, Calzado-Esponda is proud of her Cuban heritage. "I saw what President Obama did to bridge our two world and I want to do my part," said Calzado-Esponda, who's currently in business school. "I want to show people how I fell in love with Cuba."